levitra 20 mg effetto There’s a touch of Italy in Central Ohio and its name is Gervasi Vineyard. Mr. Locke and I traveled there last weekend and I couldn’t believe my eyes. 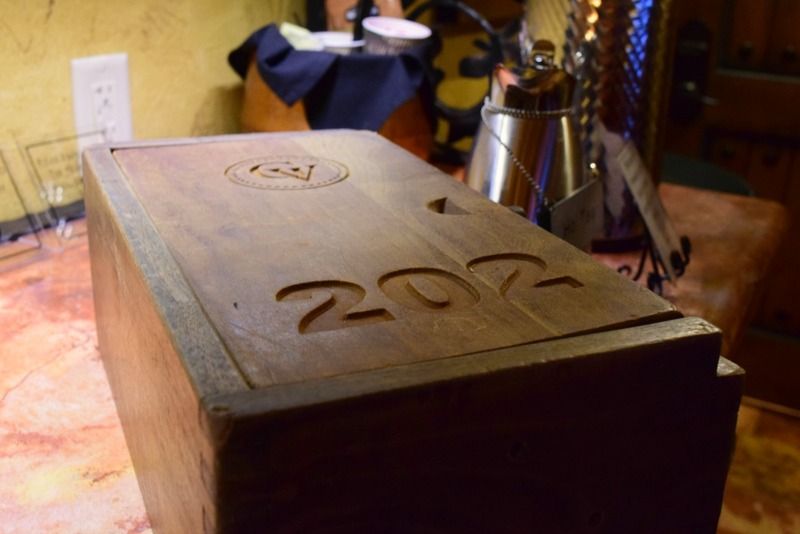 The attention to Italian details is everywhere, and from the Villa Suites to its restaurants, I truly felt like I was spending my days in the beauty of an Italian winery- without ever having to pull my passport out of storage. miglior sito per acquistare viagra generico 50 mg a Parma Did I mention there was wine? 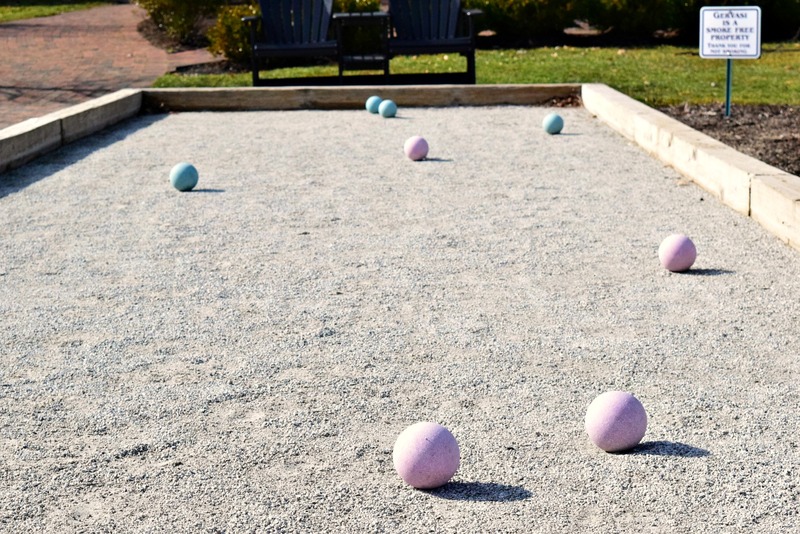 miglior sito per comprare viagra generico 200 mg spedizione veloce a Bologna If you’re looking for a spot to relax and unwind in Central Ohio with an Italian flair, Gervasi Vineyard in Canton, Ohio, is it. A Select Registry property (that means quality and high standard B&Bs and Inns, folks), the vineyard is one of those places that you can park the car and never have to leave the property. iv lasix push The property, once a tree farm, was turned into a getaway destination in 2010 and has been extremely popular since its opening day. It’s also a four seasons spot so you don’t have to wait until there’s leaves on the grape vines to make a reservation. Even in winter, you can walk the property, sit around the lake, and enjoy the quiet. I loved the fact that there’s two restaurants withing walking distance of the Villa Suites, onsite relaxation features including spa services (think massages, facials, and even wedding hair and makeup), in-suite yoga classes, and reflexology. We didn’t have a chance to check out the add-ons but I would not hesitate to schedule an appointment for the future. 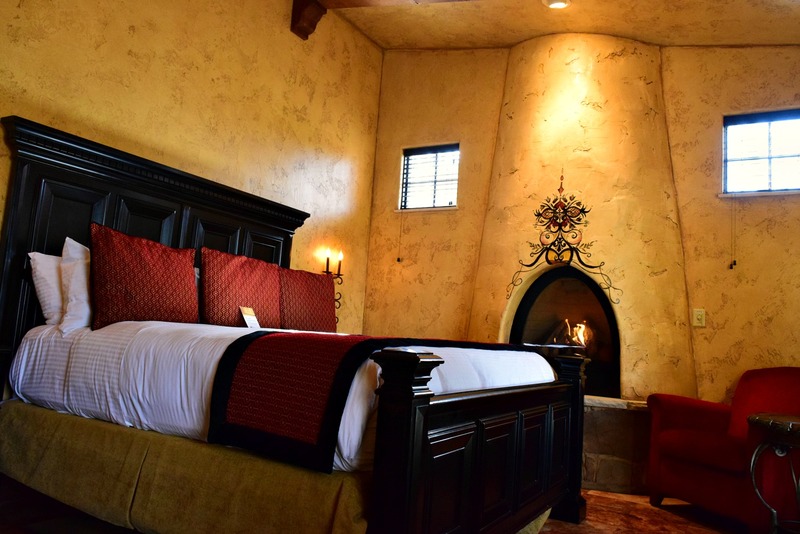 Gervasi Vineyard has six Villas for a total of 24 suites. We happily stayed in Villa Portofino 202 and from the moment we popped our key card into the door I was in love. Each Villa has a common room where guests can relax by the fire, grab a drink in the well-stocked fridge, or chat with other guests. There’s even a pretty dining table to sit and enjoy meals. During warmer weather, there’s a small outdoor patio area with chairs that offers gorgeous views of the property’s lake. Fed by a natural spring, we loved watching the ducks and swans swim around. Our suite was perfect for the two of us, although there was a pull-out sofa for additional guests. The gas fireplace was great for the chilly night and I fell asleep watching the flames flicker. Double Queen Suites, as well as Two-Level King suites, are available as well, or if you have a large party, you can rent out the entire Villa and leave the suite doors open to make one, big house. Definitely a sucker for a good bathroom, this one was fabulous. 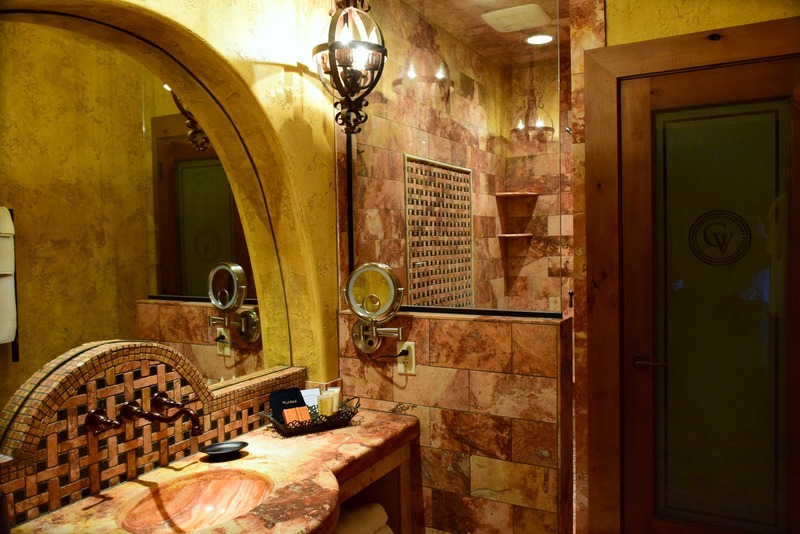 The bathroom was perfection in my eyes and, from the shower area and towel warming rack to the separate toilet and television above the vanity, I fell in love. Check out those light fixtures! The next morning, breakfast was delivered to our Villa and we couldn’t wait to dig in. A large, wooden box filled with an Italian-style Continental breakfast including freshly baked sweet and savory pastries (and, of course, grapes!) filled us up for the drive home. There was also a large carafe of coffee and hot water for tea in the Common Area. Should you have any allergies, make sure to alert the desk at check in. 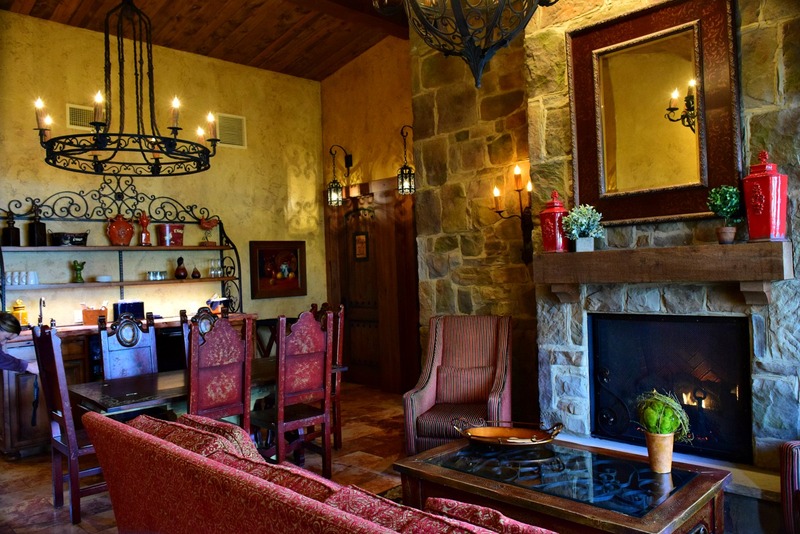 Gervasi Vineyard has two onsite restaurants that offer Italian cuisine. Really delicious Italian cuisine. There’s also American-style dishes as well so don’t fret if you’re not a fan of Italian cooking. Although, a visit here may change your mind. 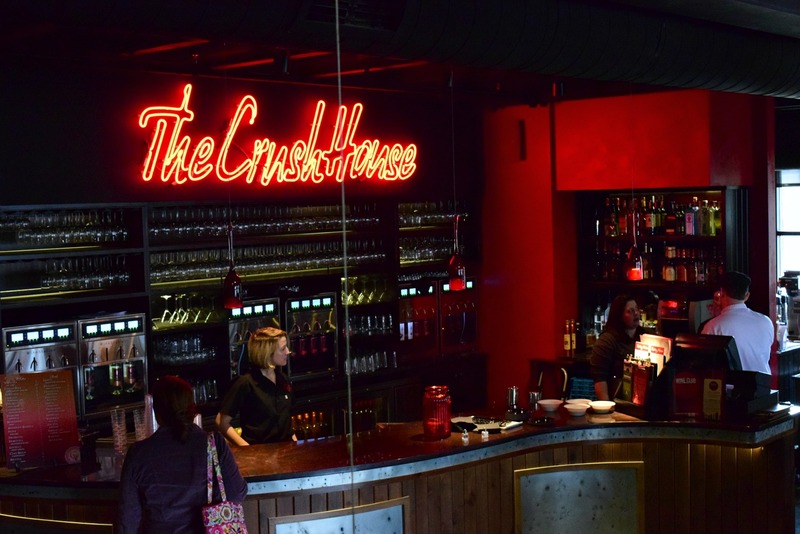 The Crush House has a really hip, casual vibe. The menu has a laid back feel as well and serves wings, burgers, turkey wraps, and lighter fare. There’s also a great bar that Mr. Locke and I sat at to sample GVs wine and beer. Yep, they partner with Thirsty Dog Brewery to craft three brews: Farmhouse Ale, Jabberwocky Pale Ale, and the ever popular Milkhouse Stout. Mr. Locke was a huge fan of the stout (he’s a heartier beer drinker), but he really enjoyed the ales as well. I had a chance to taste test the property’s Barbera wine- a dry, red with low tannins and high acid. 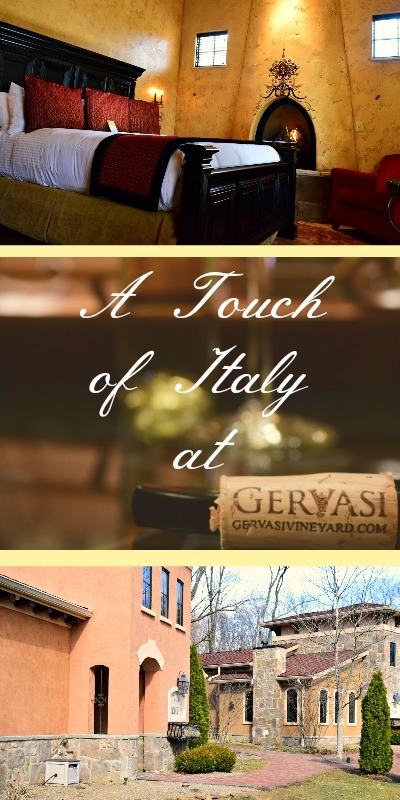 The Crush House is closed on Sundays (the day we checked in) but, compliments of a Winter Crawl around the property (Gervasi Vineyard has three every year and compliments its wine and beer with culinary favorites. If you have never tried one, definitely check it out. 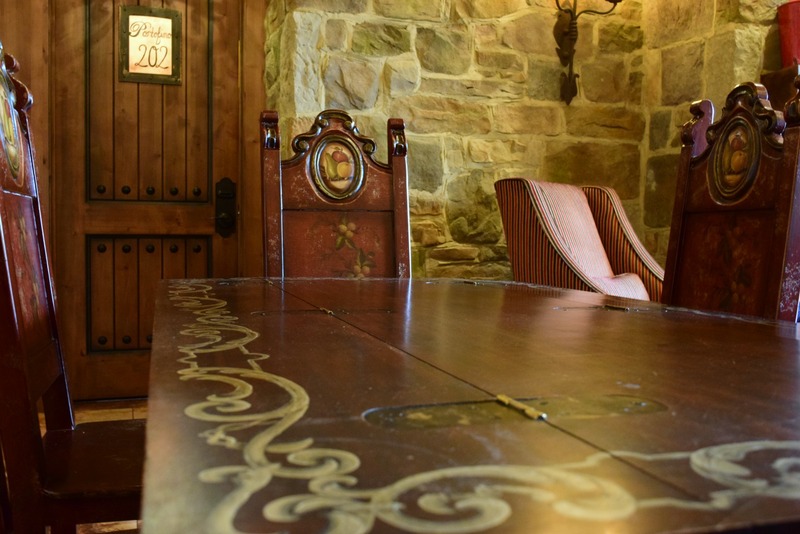 ), our first stop was there so we had a chance to check out the decor (really cool and hip with lots of dark woods and metal accents), take a winery tour to learn about how its wine is made, and simply hang with the other crawlers. It also gave us a chance to learn about the property and make pit stops at popular locations including Villa Grande and the Conservatory. A bit more formal bust still really laid back, The Bistro at Gervasi Vineyard was our idea of a great place to dine on our visit. We love Italian cuisine so it was a no brainer to make a reservation for dinner (reservations are definitely recommended. It can get pretty packed.) The menu offers Italian rustic dishes and its menu changes seasonally so we were in luck to sample a heartier menu filled with pasta, meats, and seafood. 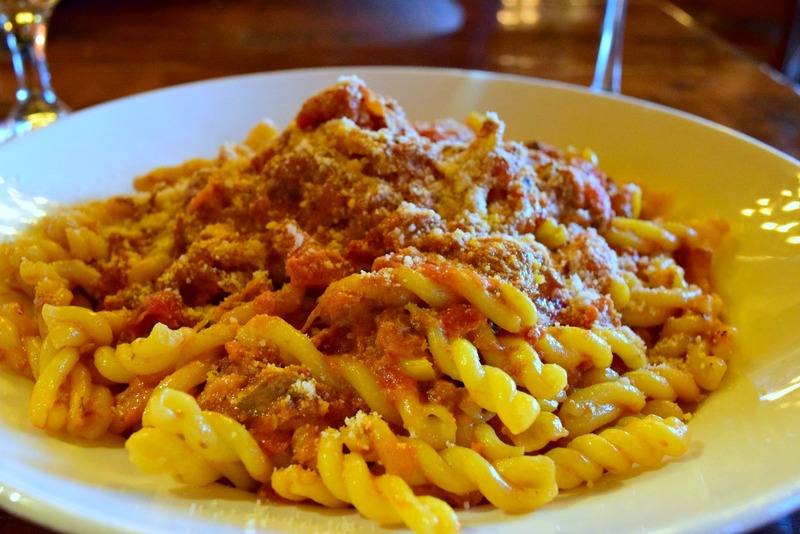 I was all set to try the pizza, but once I saw the pasta menu I had to dive right in for Bolognese: a thicker, house-made Gemelli pasta with the tastiest meat sauce I’ve ever eaten. No kidding. 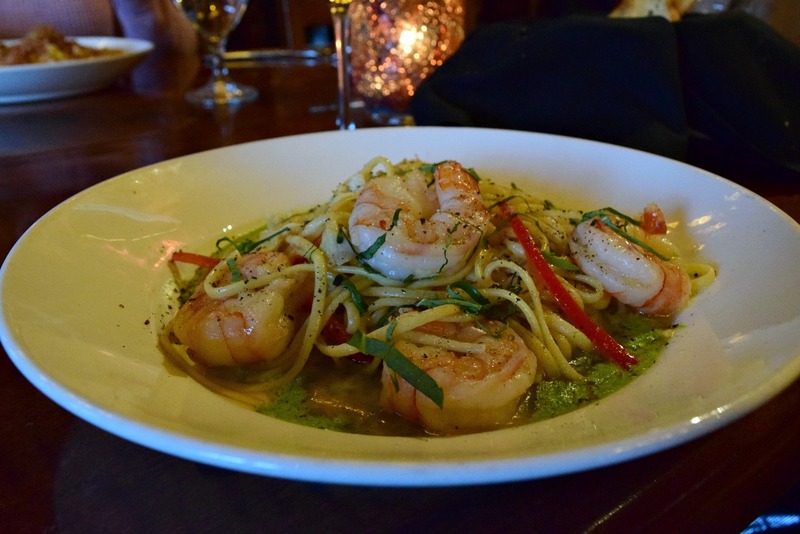 Mr. Locke always goes for seafood dishes when we travel, so he had to try the house special, Linguini with Shrimp. The restaurant offers daily specials so make sure to ask your server just in case you don’t hear about it when you sit down. 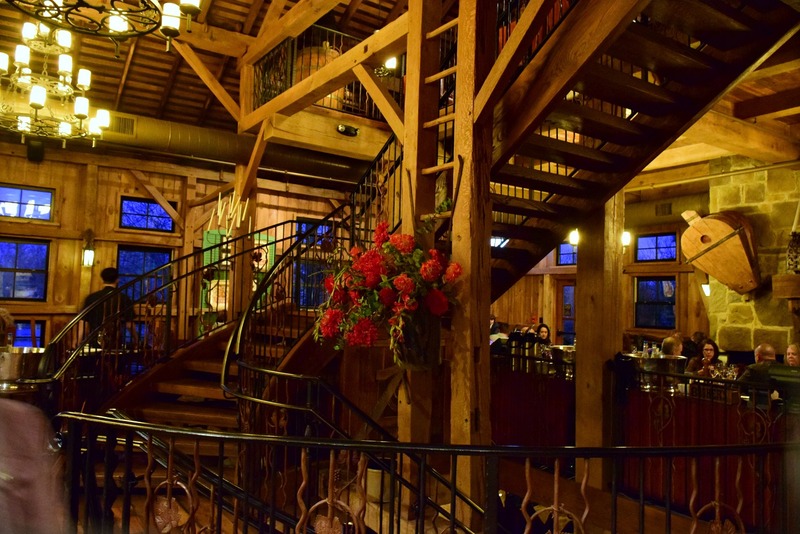 Gervasi Vineyard is open year round and offers beautiful views and great dining options in all four seasons. Reservations can be made online and are quick and easy to do. Villa Suites prices begin at around $189.00 per night and increase depending on suite size. Packages are available and include dining gift cards and tickets to popular Canton attractions. If you are planning a visit during peak months, please make your reservation well in advance. 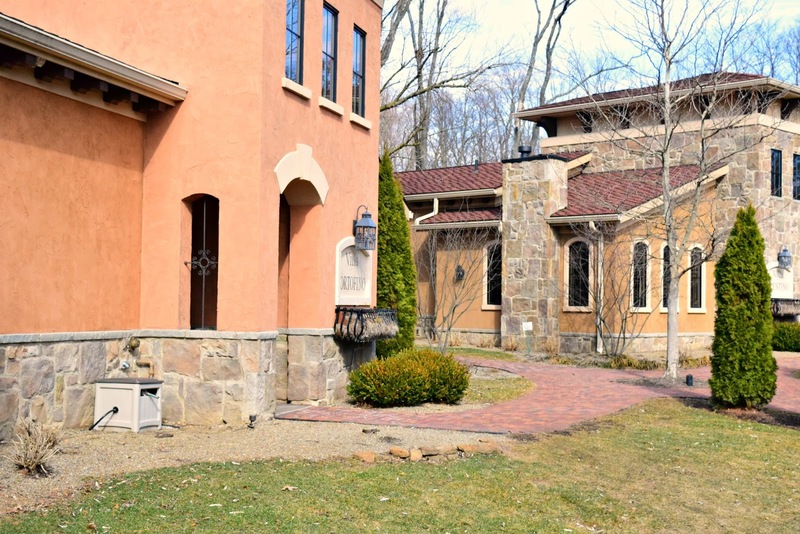 Gervasi Vineyard is a Select Registry property.